For those who want Apple's latest design without spending a fortune, this is the iPhone for you. Dubbed the everyman phone for iPhone users, the iPhone XR might sit at the bottom of the new iPhone X range, but that's not to say it should be overlooked. It's still got a powerful processor, large screen and a great camera. 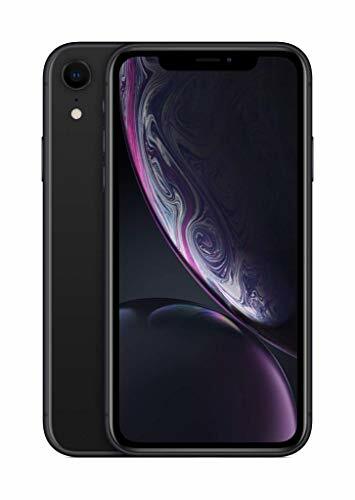 The iPhone XR does make a couple of compromises compared to the iPhone XS, iPhone XS Max - it has an aluminium core rather than stainless steel, an LCD display rather than OLED, and just the one camera lens rather than a pair - but otherwise it promises to deliver all the power of the iPhone X range. For those who might not want to part with £999 for the iPhone XS, is the XR the iPhone you should be getting? We've been living with the new iPhone - in a fetching yellow finish - to find out. Bright and colourful, the Apple iPhone XR is a playful device in comparison to the more serious iPhone XS and iPhone XS Max models. Available in six new finishes - comprising white, black, blue, yellow, coral and (Product) Red - it's the blue and yellow ones that stand out as the most desirable. The coral is very hit and miss, as it's neither orange or salmon. The iPhone XR features the same design language as its more premium siblings, with an all-glass back and a notched screen dominating the front (yes, that black-out dip in the screen, as introduced in the 2017 iPhone X). It delivers this with an aluminium frame, making it slightly thicker than the XS models - although the thickness isn't noticeable in the hand, only that it's a smaller device than Max model - and it has a slightly lower IP rating too at IP67. There is a single lens camera on the rear, while hidden beneath the glass cover is wireless charging. Like its predecessors, the iPhone XR is compatible with Qi wireless chargers. If you prefer the speed and convenience of wired then there's still the Lightning port on board for at-the-plug charging - that's default anyway, as there's no wireless charger included in the box. Apple iPhone XR vs iPhone 8 vs iPhone 8 Plus: What's the difference? Apple iPhone XS vs XS Max vs iPhone XR: What's the difference? We think the iPhone XR is likely to appeal most to iPhone 7 and iPhone 7 Plus users who are looking to upgrade. By comparison the new and more colourful iPhone is a huge step forward. The buttons and large bezel have gone, giving you more phone for the form factor. The phone itself is only slightly smaller than the iPhone 7 Plus, but noticeably bigger than the iPhone 7, striking that happy mid point. The Apple iPhone XR has a 'Liquid Retina' display - read that as an LCD display if you step away from Apple's language. Or look at it this way: it's not the 'Super Retina' OLED display that you'll find on the new XS models. Now, if you're looking to upgrade from the iPhone 6, 7, or 8 ranges, then LCD is what you've been using all along. The XR's pixel density is the same as the iPhone 6, 7 and 8 too, so clarity is one and the same. This panel also caters for the P3 wide colour gamut, meaning strong blacks and good colour vibrancy, while True Tone technology uses sensors to change the screen colour according to the ambient light in the room (in the same way as many of Apple's other screens) for greater eye comfort. The iPhone XR does lose 3D Touch, marking one of the few areas Apple has compromised to drive costs down. The technology was introduced on the iPhone 6S as Apple's answer to a pressure sensitive display, allowing for various features depending on the force with which you press. But not all is lost, for the XR replaces 3D Touch with Haptic Touch. This works in the same way as the trackpad on an Apple MacBook - making you think you are moving something even though you aren't. It doesn't offer the same functionality as 3D Touch - you can't press down hard on an app icon and be presented with shortcuts for example - but given 3D Touch struggled to catch on, we're not sure many will miss it or even know it existed in the first place. There are still some concessions to those who like long-pressing on the screen. You'll be able to 'fake 3D Touch' the camera and flashlight/torch icons on the homescreen and settings within Control Center. And for those who use the cursor on the keyboard when typing you'll now have to long-press on the spacebar instead. It's a strange omission, and one that's only going to reduce developers developing for 3D Touch in the future. Mobile HDR is another feature absent from the iPhone XR, so no high dynamic range compatibility for available content. The iPhone XS and XS Max both offer Dolby Vision and HDR10 support, hence being a step above. So while the XR will do its best to deliver an 'HDR-like experience', it's not the real deal. That means you're Smart HDR pictures aren't going to pop as much when viewing on screen, nor will you be able to see as much detail on a dark TV show or movie that's available in HDR. The Apple iPhone XR might compromise in a couple of areas, but power and performance are most definitely not one of them. The XR runs on the same A12 Bionic processor as the iPhone XS and iPhone XS Max, which means it has plenty of power for running augmented reality apps, playing graphically demanding games, processing photographs or 4K video, or simply managing day-to-day tasks. In our hands-on at the launch event at Apple Park we had a brief play on Blades, a new game from Bethesda. Dripping with lighting effects and textures, the iPhone XR was more than capable of handling this gaming heavyweight. Since getting the phone in the office we've been playing Fornite and Asphalt 9 to put it through its paces with no issues whatsoever. Having extensively used the iPhone XS prior to testing the iPhone XR, it's clear there is no difference in terms of processing power or capabilities. The experience hasn't been subdued in terms of power or performance. Apple claims the iPhone XR will last 1.5 hours longer than the iPhone 8 Plus in terms of battery life, which should give you more than enough charge to last a day. During our use the battery has certainly lived up to those claims. Unless you're performing really demanding tasks, like long stints of gaming. Light use would easily see you get through the day and a good way through day two as well. Like the XS range the XR also supports Dual SIM using eSIM for the second SIM. The feature isn't enabled yet, but we'll make sure we test it out when it goes live, presumably when iOS 12.1 software arrives. The iPhone XR features a single lens camera sensor on the rear. No dual-lens offering here. But don't let that put you off - because the iPhone XR still offers plenty in the camera department. For starters, the wide-angle view and sensor is the same as found in the XS models, offering optical image stabilisation, wide colour capture for photos, and Live Photos. The difference compared to the XS models, however, is you don't get the extra 12-megapixel telephoto lens, meaning the XR is only capable of digital zoom - not optical zoom - and it is therefore slightly restricted with some of the camera features. The iPhone XR still offers Smart HDR, Portrait Lighting (albeit with three effects rather than the five), Portrait Mode (restricted to only working with people rather than any object - without that second lens it's not able to derive depth in the same way as the XS, hence this restriction). Portrait Mode allows users to deliver blurred-background shots (known as the bokeh effect), but there's even more control in the XR. The new Depth Control function allows users to play around with the bokeh effect after taking a shot. The results are as good as the iPhone XS and can certainly save or ruin a picture depending on how you use it. It's also worth noting that because you don't have the second telephoto lens on the iPhone XR camera you are shooting portraits with the 24mm wide-angle rather than 50mm lens. That's less of a traditional approach for portrait photography and means you'll have to get physically closer to your subjects than you've had to previously with, say, the iPhone 7 Plus. We found that does put people slightly on edge and the results differ due to the lens characteristics. In terms of the front camera, the iPhone XR has the same 7-megapixel TrueDepth front-facing camera as found on the iPhone XS models, with FaceID. You'll also be able to apply Portrait mode, depth of field, and Smart HDR to pictures taken with the front camera, as well as use the Stage Light effects. On the software front, it's all about iOS 12, which we've been playing with since the launch of the public beta. There are several improvements that we're particularly keen on. Screen Time is especially handy for helping us understand how much time we spend on our phone on a day-to-day basis, while the improved intelligent search within photos allows you to conveniently search using descriptions like "beach" or "animals". There's still plenty we've got to explore and we are looking forward to playing with ARKit 2 in more depth, as well as try Group FaceTime for ourselves - so far we've only seen it in a demo. The new features should allow for multiple device support, while Siri Shortcuts could be a game-changer in allowing you to create rules and scripts for a range of tasks. Saying things like "Hey Siri, I'm home" could result in your phone doing a number of tasks for you in a sequence, for example. Specific to the iPhone XR, iOS 12 adds landscape views in certain apps like Messages or Mail, in the same way Apple has done for the Plus models in the past and the new Max model. As an upgrade option over, say, the iPhone 7, the XR's larger display, bright colour finishes and considerable power will appeal. Yes, we've missed not being able to take a picture of our dog in Portrait Mode, but we think we can live without this feature for the most part. The big daddy of the iPhone range (well, not as physically big as the Max model) offers a handful of extra features, making it the ultimate iPhone for the power user. You might not want to spend quite this much, though, and the XR delivers a lot of what's here for less cash. If Apple's paring of hardware and software has always appealed to you, then so too might the Google Pixel 3. It's the Android alternative - Google's own phone - which is also pure, secure and up to date. Sumptuous build, fantastic display and a class-leading camera make this a smaller format power house. It's also competitively priced against the iPhone.